During the course of the PGA Merchandise Show, THP shoots hours of video and edits them into watchable clips for our readers. Here are clips that we considered “must watch” from our week long visit to Orlando. Each day this week we will have more videos featuring different categories from the show. Today we have 2 videos on distance measuring devices from the PGA Merchandise Show. 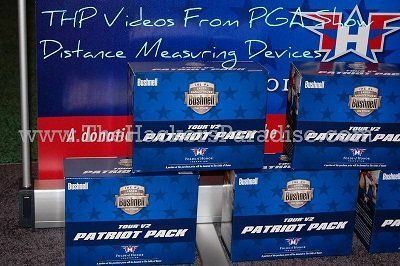 One on the incredible Bushnell Tour V2 Patriot Pack that is made for a great cause and the other on the newer device the OnPar GPS and why it is so easy and beneficial to golfers.